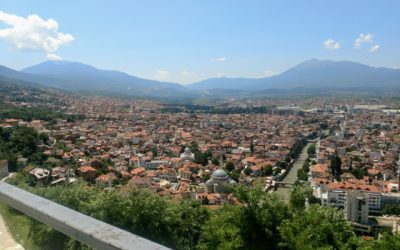 Now that we are back home from our “world tour,” we’ve had the opportunity to talk about our travels with family and friends and reflect on our time visiting 12 different countries. The questions we get asked vary depending on who we are talking to, but one constant that everyone wants to know is, “Which place was your favorite?” While our entire trip was filled with unique, gorgeous, and magical moments (with tantrums scattered throughout, ha! 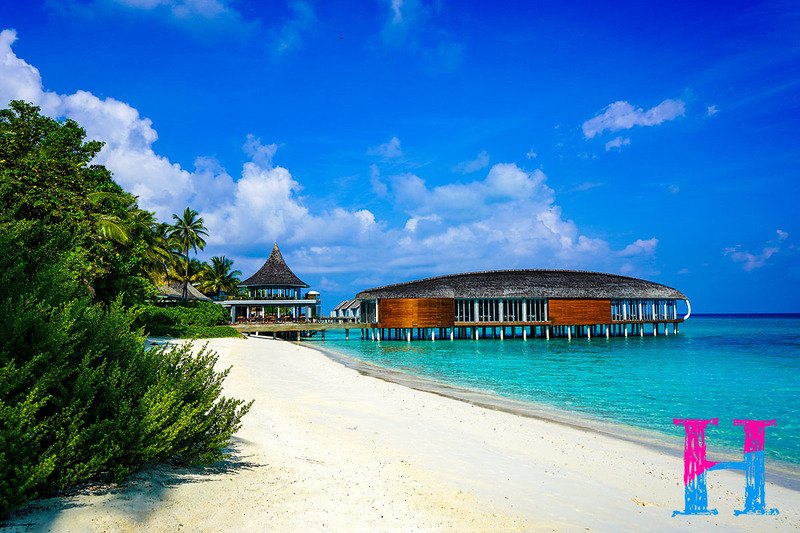 ), I think the topic of this post pretty much gives the answer to that question away – the Maldives! It lived up to ALL the hype and completely BLEW US AWAY! **Insert shouting and elated jumping up and down here. ** I’m pretty sure our jaws were on the floor and the word “unreal” was used every single day. 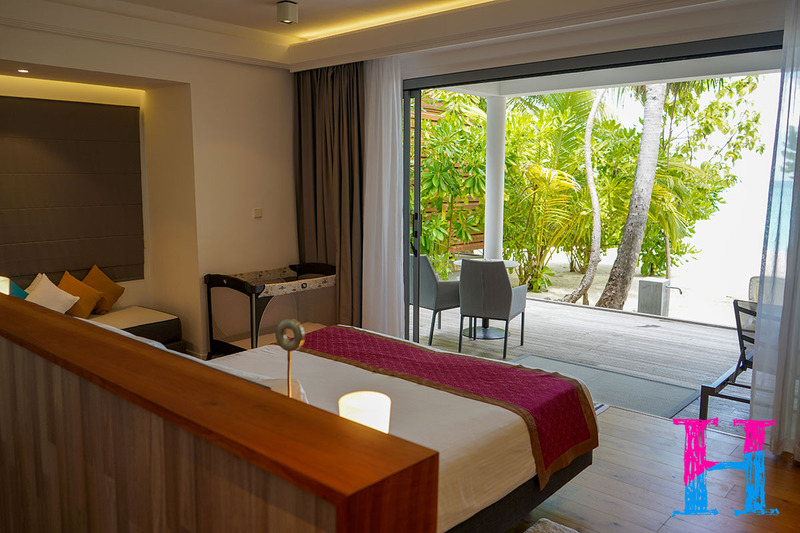 We were a little overwhelmed by the hundreds of choices for lodging in the Maldives, but we eventually chose Kuramathi and we couldn’t have been more pleased! 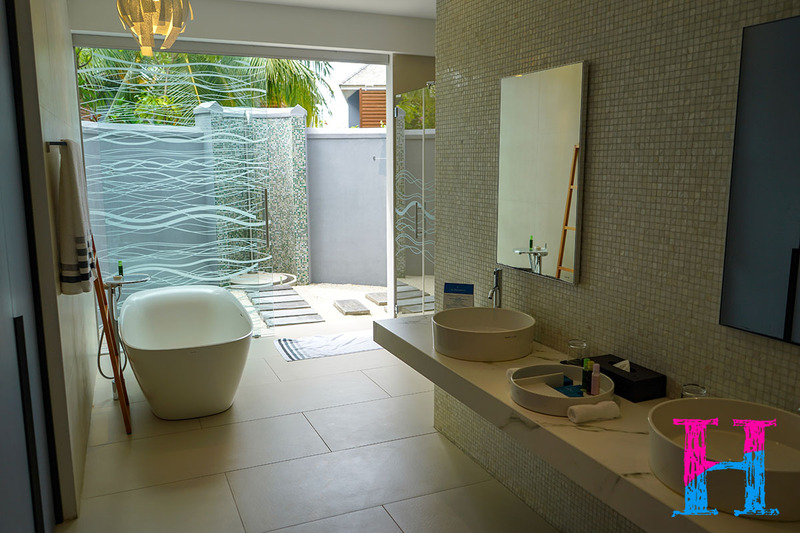 It was luxurious, spotlessly clean, and the service was some of the best we’ve ever experienced anywhere in the world! Everywhere we went on the island, staff stopped what they were doing to say hello and engage with us in an authentic way. We stayed in a two bedroom beach house, which was PERFECT for traveling with kids! It had two levels – one for us and one for the kids – and was literally steps from the water! After spending over a month often sharing a room with our kids, the extra space was such a treat! 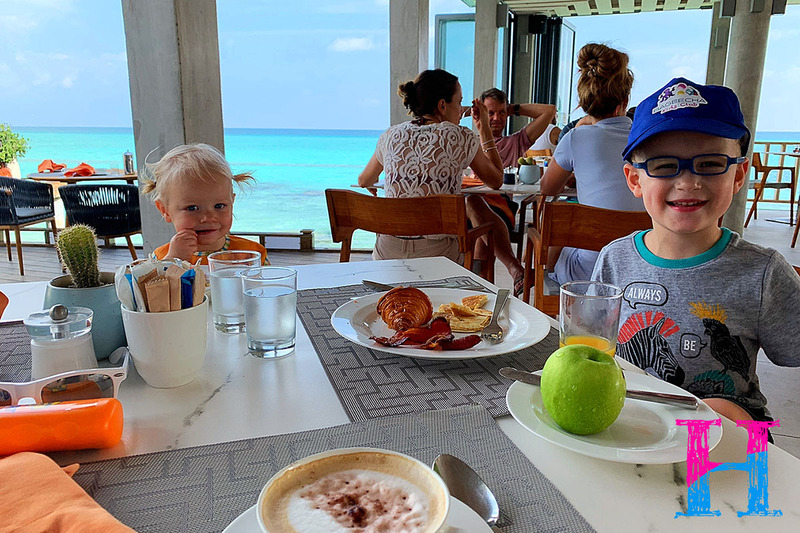 The beach house allowed us to have multiple spaces to hang out while the kids were napping/asleep for the night…like the other bedroom, the upstairs balcony, the downstairs deck, the beach, and even snorkeling/swimming/playing in the ocean because the room was THAT close! We also felt super spoiled because our room had not one, but TWO private outdoor showers (along with two indoor showers, which we never used because why shower inside when you can shower under the sun/stars instead?!). Talk about luxurious. We stayed for 3 full days/4 nights and we never ran out of things to do or places to visit on the island. If (ahem, WHEN) we go back to the Maldives, we will undoubtably go back to Kuramathi! Ok, so this is technically part of the resort, but it was so phenomenal it needs it’s own paragraph. 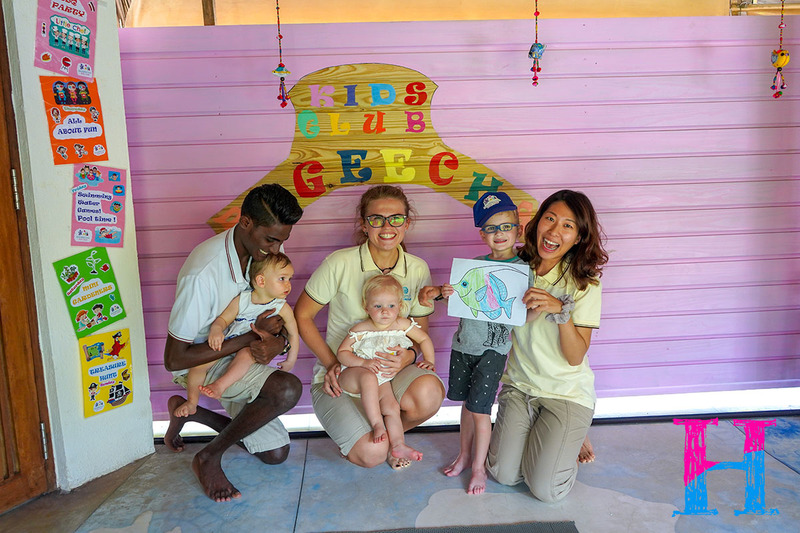 Bageecha Kids’ Club absolutely MADE our experience traveling to the Maldives with kids. Emerson (age 4) was old enough to be dropped off at any time during their all-day hours for free and the babysitting charge for Hadley (age 1) was only $10/hour, which was worth eeeeevery penny in our minds for some kid-free dates! 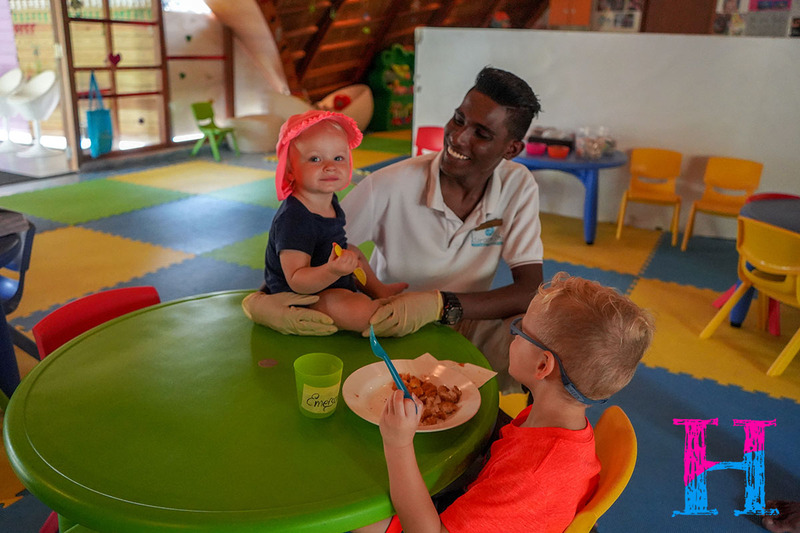 We were able to tour the kids club prior to dropping our kids off and it put my mama mind at ease knowing they were in such wonderful hands – Sara and her team are AMAZING – and had so many fun toys and activities to entertain them (especially after almost 6 weeks of playing with the very few toys we brought with us on our trip). Emerson is not always super enthusiastic to leave us, but he would actually ask to go to Bageecha! I don’t blame him. 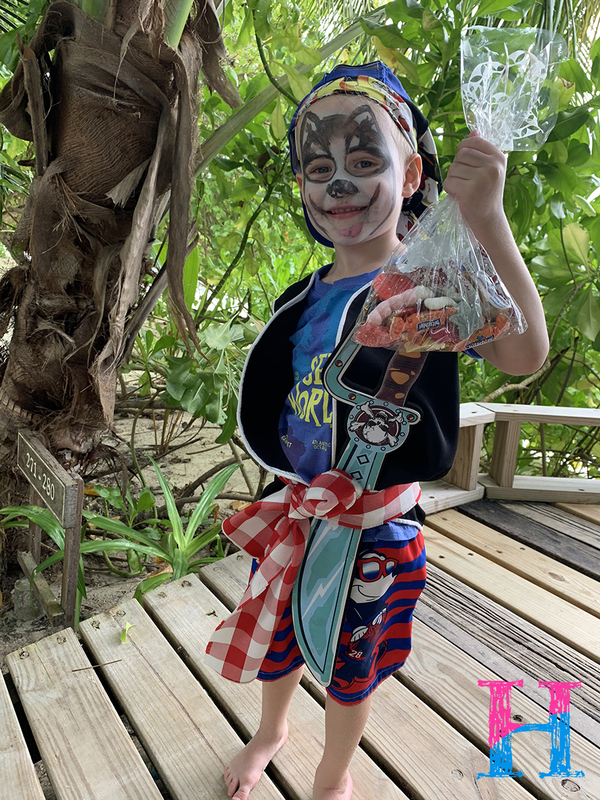 One day Bryant and I were heading out on a snorkeling date and we randomly ran into Emerson and a few other kids out on a treasure hunt with the kids’ club staff, dressed up in pirate gear with a bag full of “treasure” in his hand! Another day I was walking past the pool and the staff had taken the kids on a swimming adventure (with our permission, of course)! And did I mention that they also took care of feeding our kids lunch each day while we enjoyed eating a full meal in peace?! Heavenly. When we went to pick the kids up on our final day, they surprised us with gifts for each of the kids, laminated photo collages from the past few days of activities, and a disc of photos to take home with us! We are relatively new to the world of kids’ clubs because our oldest is just getting to an age where we can really utilize them, but WOW, this one set the bar ridiculously high! The water in the Maldives literally took our breath away. I only wish pictures could do it justice! We had a storm roll through on our first full day on the island and while the sky turned a dark grey color, the water remained perfectly aqua even without the sun shining on it. We would wake up in the morning, open the curtains, and just stare at the ocean from our bed. Neither one of us have ever seen anything quite like it! And then there was the marine life. If you ask Bryant, he could have swam/snorkeled every waking moment of the day because he was so enamored with the sea creatures. 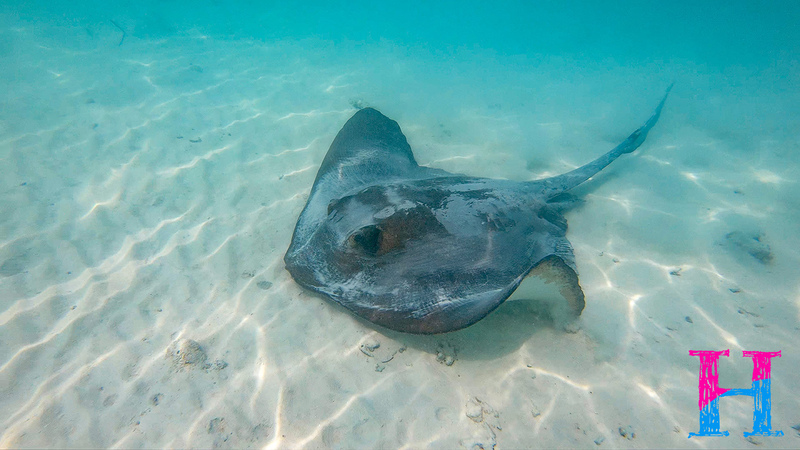 He loved swimming with reef sharks (while I looked at them from the beach) and we both had to pinch ourselves when we snorkeled with a sting ray right in front of our beach house! We had a blast with Emerson at night shining a flashlight on ghost crabs and watching them all scurry away into the sand, as well as finding lots of hermit crabs around the island during the day. 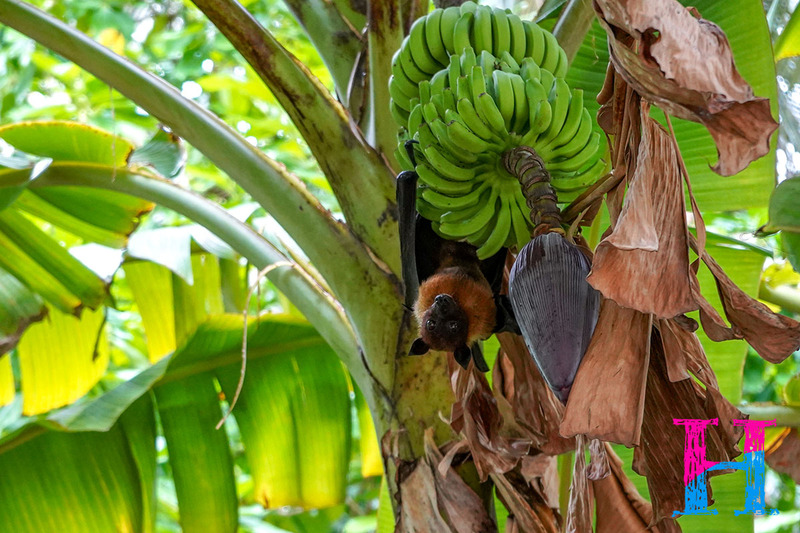 And a family favorite was the fruit bats that would hang from the trees and entertain us on our walks around the island! We aren’t necessarily sit-on-the-beach-all-day kind of people. But after 6 weeks of fast-paced travel through Europe with two kids, where we were averaging 3 nights in any location and doing LOTS of sightseeing, we were ready for some down time. And that is exactly what the Maldives provided! No monuments or museums to visit, no crazy traffic to navigate, just sandy beaches and infinity pools – pure relaxation. 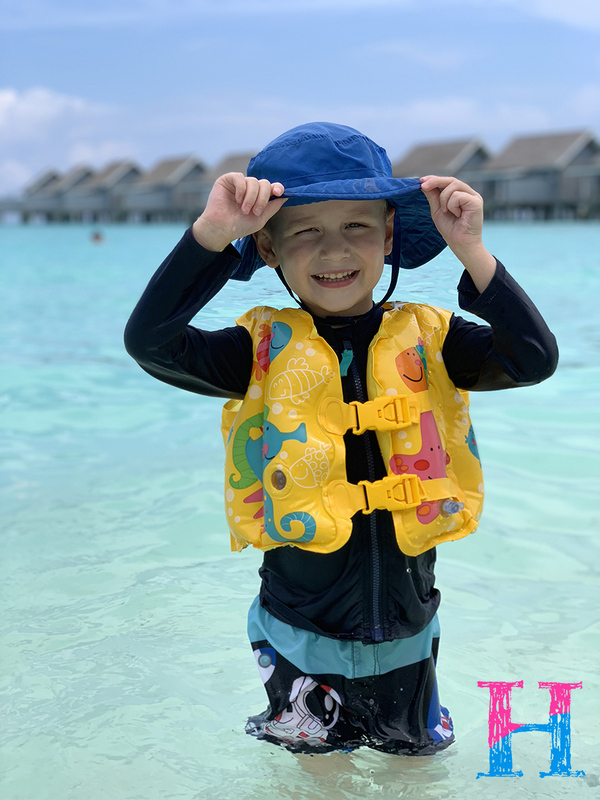 We jokingly refer to our time in the Maldives as a “vacation” from our trip! Our days spent in the Maldives looked a little something like this: Wake up, be awestruck by the views, then head to breakfast. After breakfast, Hadley would go down for a nap while we either played on the beach with Emerson or dropped him off at the kids’ club if he asked to go earlier in the day. As soon as Hadley was up, we’d drop her off at the kids’ club too and our 3 hour daily date would commence! 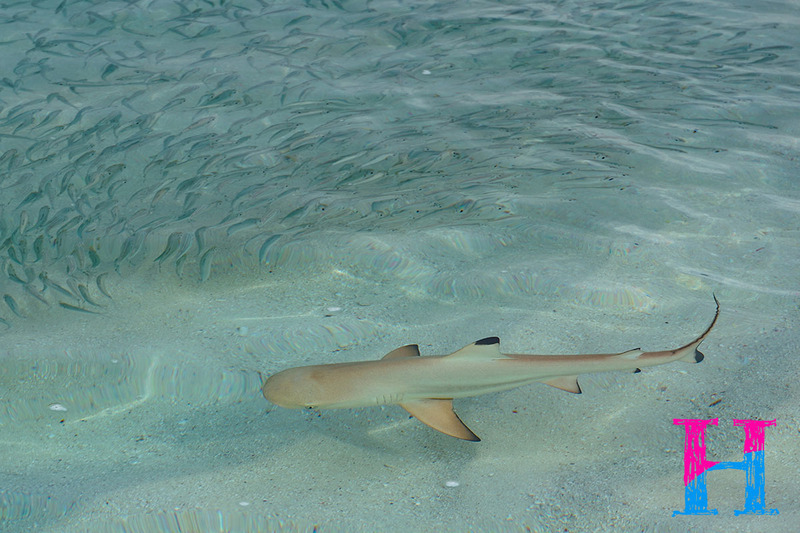 Snorkeling and exploring were always top priority, followed by lunch all by ourselves…bliss. By mid afternoon we’d pick the kids up and they’d be so exhausted from the fun they’d had at the kids’ club that they would both nap for at least two hours. If you’re counting, that’s 5 hours of time for just Bryant and I every day! That never, EVER happens! 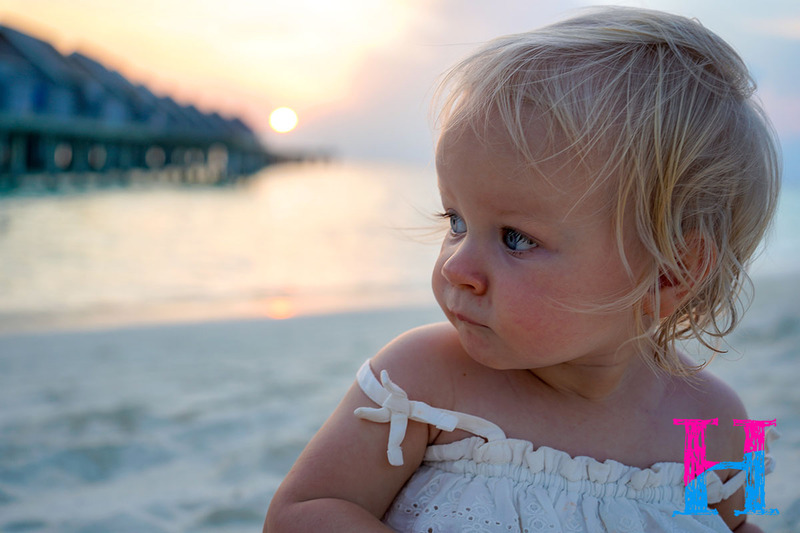 After naps, we’d play on the beach some more as a family, take showers/baths, and then head to dinner. Bedtime followed shortly after that and then we’d wake up and do it all over again! Do you see why this place is so amazing?? 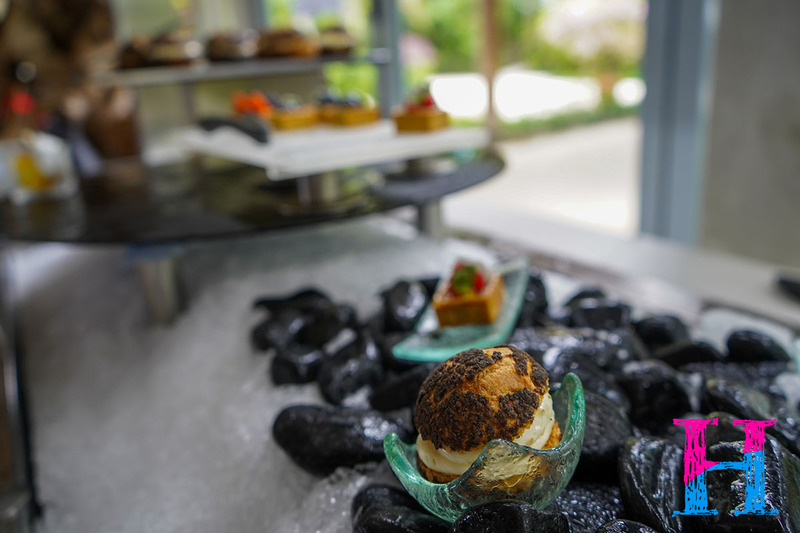 Our stay at Kuramathi included three meals each day and the food was SO GOOD!! And it was also endless. 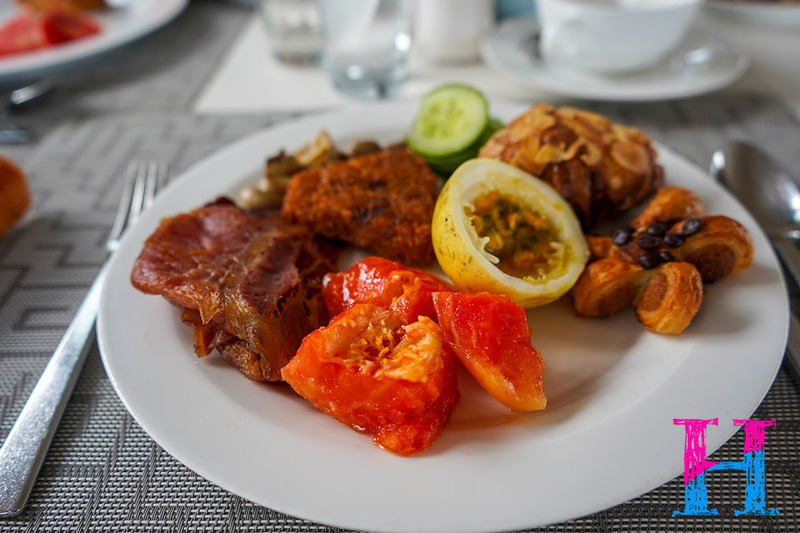 We may or may not have loaded up multiple plates of food at every meal, which allowed us to try familiar favorites as well as local Maldivian and Sri Lankan dishes. Every meal had something different for us to try and we could always find multiple dishes that both of our kids would eat (any parent knows what a feat that is!). Oh and the view while we ate was pretty spectacular too. Before you get any ideas, I want to say that this is not how we normally travel as a family. We absolutely LOVE being spoiled in a gorgeous resort, but we are generally pretty budget conscious when we travel (more on that in an upcoming post) and the majority of our two month trip was spent in Air B&Bs and hotels. I won’t sugar coat it, the Maldives as a whole is not a cheap place to visit. 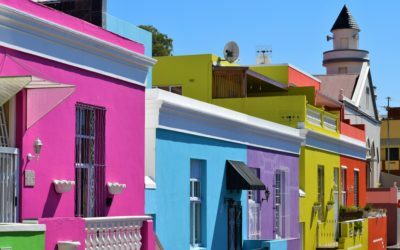 Not only do you have the cost of travel, which can be super expensive if coming from the U.S., but you also have the cost of the resort along with some pretty steep taxes. But I’m going to tell you a little secret: IT IS SO WORTH IT!! Sometimes splurging is ok and this is definitely the place to do it! The Maldives is, quite literally, halfway around the world from where we live in the Seattle area. That’s a looooong way to travel, especially with two small children, so our “world tour” turned out to be the perfect opportunity to visit. We knew we’d be in Dubai and then S.E. Asia and we just couldn’t stomach the idea of being on that side of the world without seeing the Maldives. 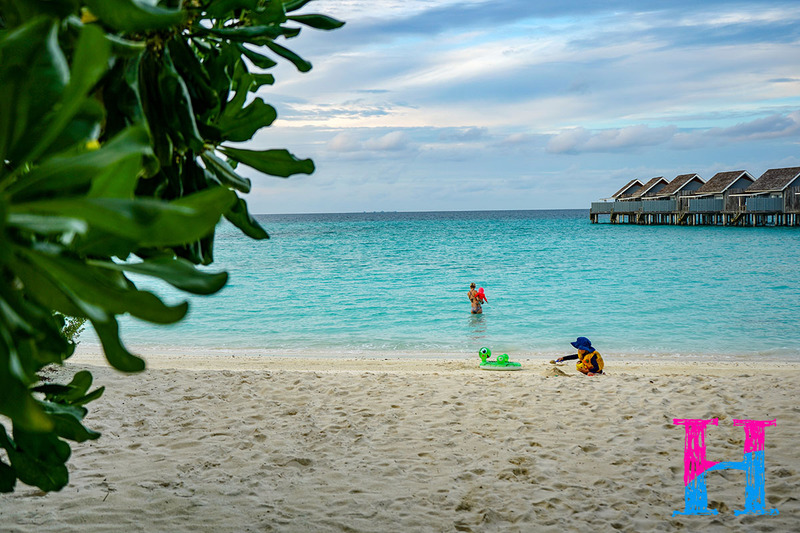 If you are thinking about visiting the Maldives from the U.S., we’d highly recommend pairing your stay with another country to get the most out of your lengthy (and likely costly) flight. If we could design a trip for you – which we love doing – we’d say stay a week in Dubai and then head to the Maldives! 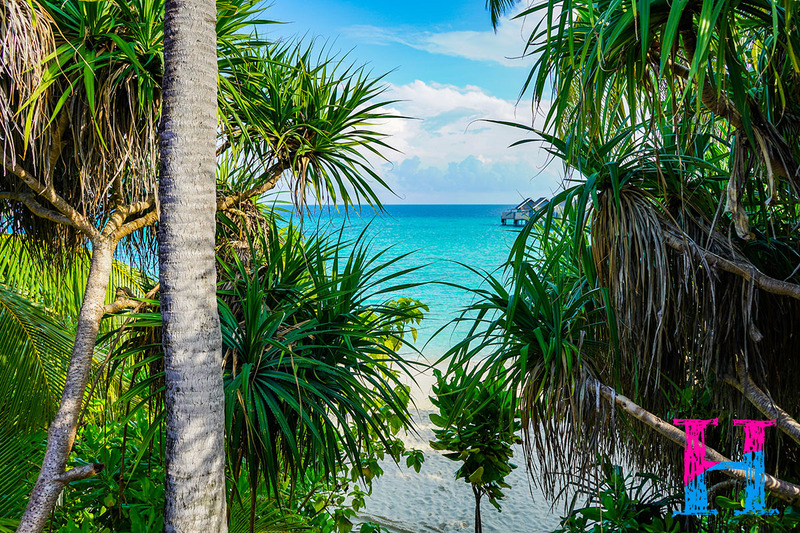 We took an indirect route to the Maldives via Sri Lanka for a night (our choice to do that), but there are plenty of direct flights (4 hours) from Dubai. Once you arrive, you’ll likely have to take a speed boat or a sea plane to whichever resort you’re staying at. 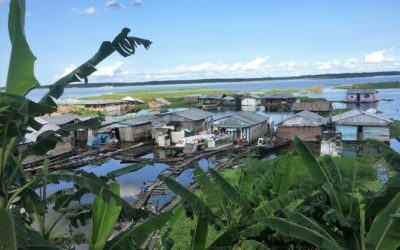 As you can imagine, the sea plane option is much more expensive, but it also includes some stunning views. 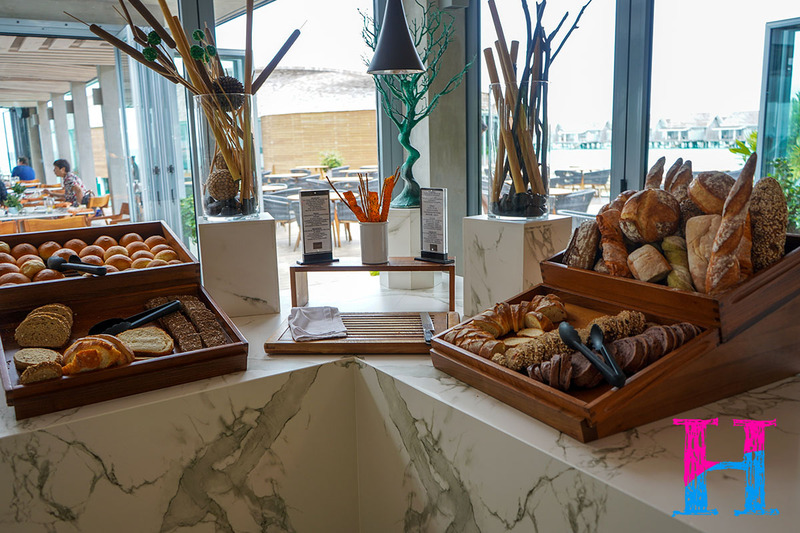 We flew from Sri Lanka into the capital city of Male and then walked out of the airport – which is on the water – and directly onto our resort’s speedboat. From there it was an hour(ish) ride to Kuramathi. Most resorts have set boat/sea plane transfer times, which means you’ll want to make sure you coordinate your incoming flight around that schedule so you don’t miss your transfer or sit around the Male airport for hours. That’s a wrap on our Maldives recap! If you’re thinking about visiting the Maldives, GO!! 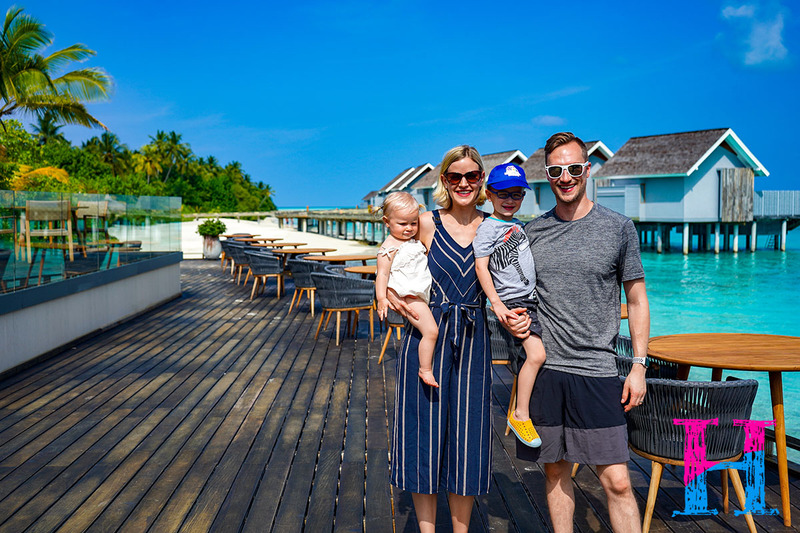 And if you have kids, but always imagined taking a romantic couples trip to the Maldives, I’m here to tell you that it’s absolutely possible to take them along and still have quality time for just the two of you! The memories we created there both as a couple and as a family were undeniably special and a true highlight of our global adventure. If you have any questions about the Maldives, feel free to ask! We love connecting with people!